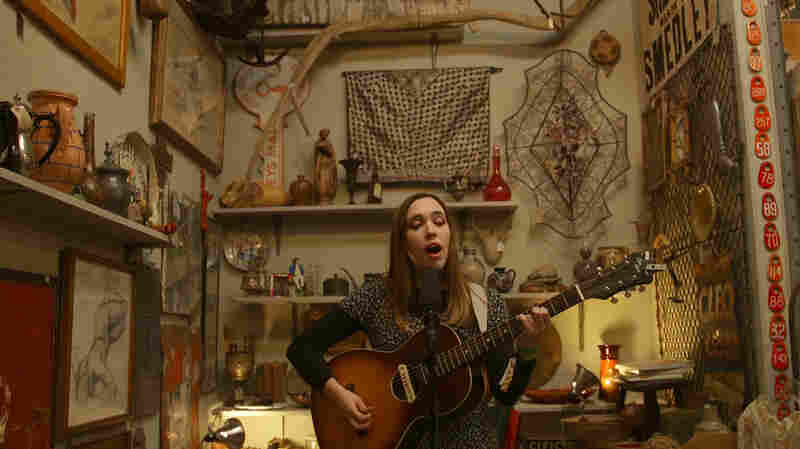 Mélat's 'Push,' Live From Austin Watch the R&B singer perform her smart and stylish standout single onstage in her hometown of Austin, Texas, during SXSW. Austin singer-songwriter Mélat Kassa used her hometown's recent SXSW music festival as a springboard to reach new fans from around the world. Mélat, who performs under her first name only, crafts a smart and stylish sound that's inspired by a mix of contemporary American R&B and Ethiopian pop. 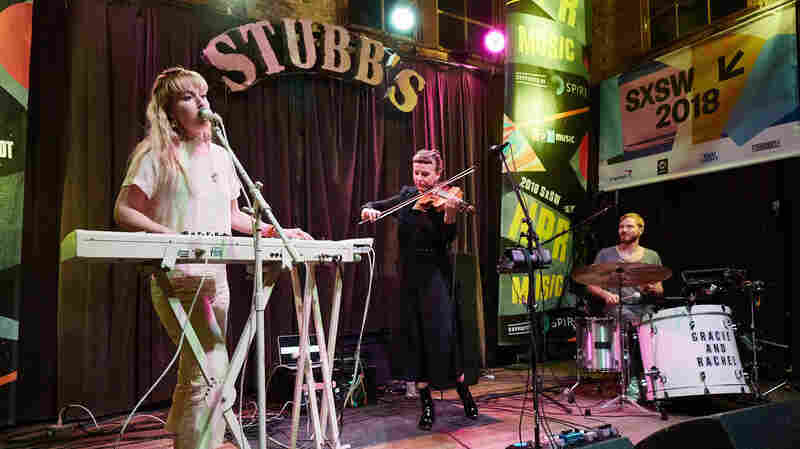 At the Austin Convention Center's Radio Day Stage earlier this month, she performed her standout single "Push" with the help of a stripped-down live band. Producers: Matt Reilly, Rita Houston, Michele Tharp, Mark Abuzzahab, Mike Henry, Suraya Mohamed; Audio Engineer: Jake Perlman; Cameras: Kristen Riffert, Kristal Ho & Monica Fafaul; Editor: Jim O'Hara; Photo: Gus Philappas for NPR; Executive Producer: Lauren Onkey. March 29, 2018  The New York songwriter finds a place of solitude in the Spire Studio Tour Bus to perform "Mary," the quietest song from her magnificent 2017 album, S***** Hits. 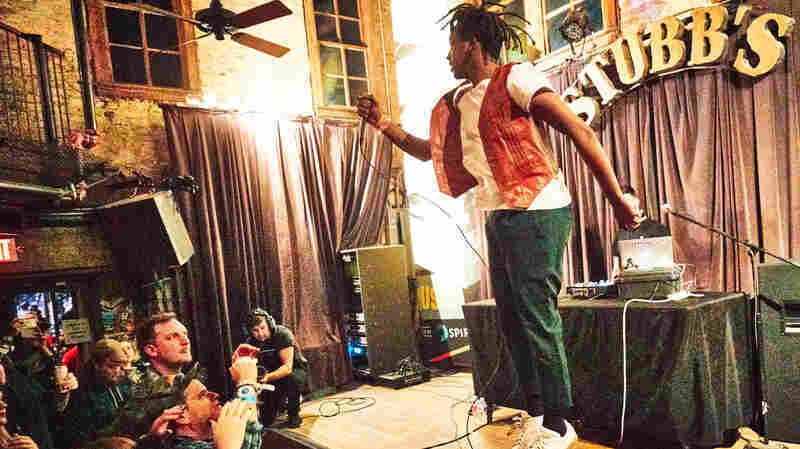 March 26, 2018  Our South X Lullaby with Soccer Mommy took us away from the frenetic world of the South by Southwest music festival and into "your eccentric uncles attic on steroids," Uncommon Objects. March 26, 2018  These Brooklyn-based childhood friends from Berkeley, Calif. create what they call orchestral pop. 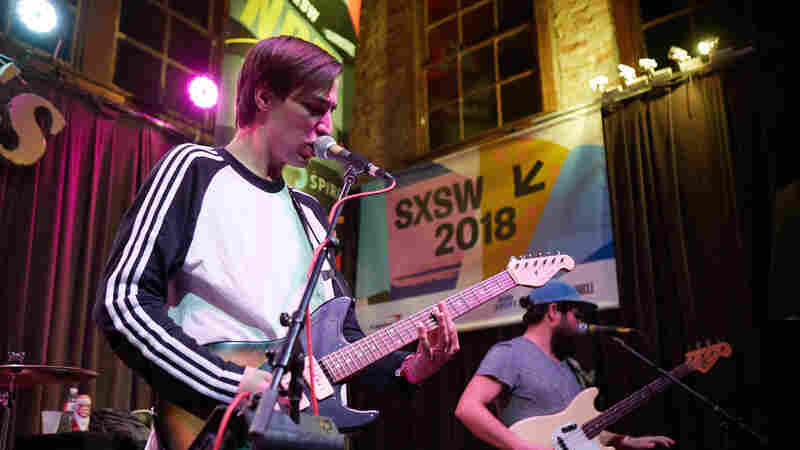 March 26, 2018  The Texas folk rock band expands into more atmospheric territory on their upcoming album In The Rainbow Rain. March 23, 2018  The relatively new band, selected for our Slingshot program, knows how to start small and end big. 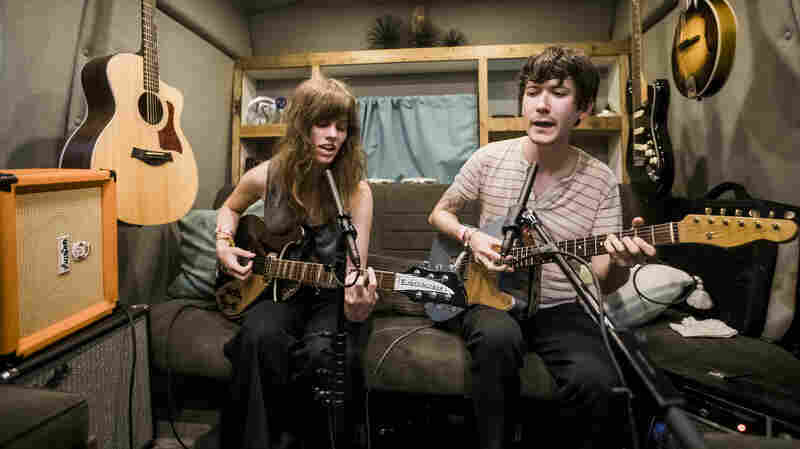 "Had It All" takes a looping pop riff and ramps it up to an all-out rock jam. March 23, 2018  The Milwaukee rapper is an arts activist involved in community engagement. 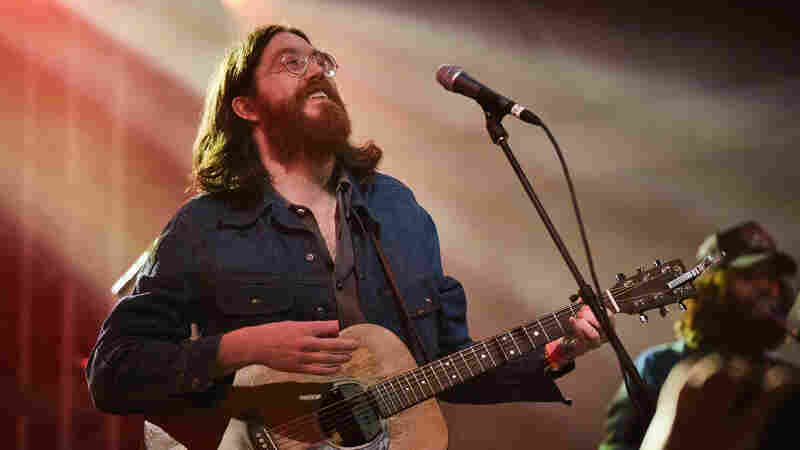 The NPR Slingshot artist's charisma and passion paints his high-energy performance. 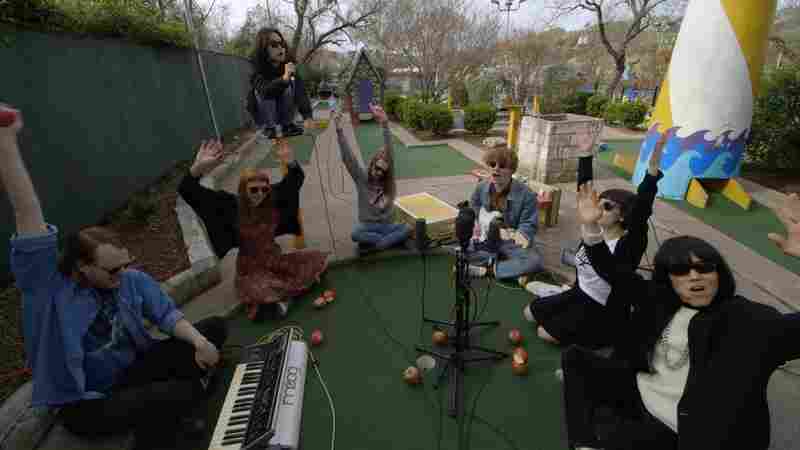 March 23, 2018  In between sets at SXSW, including our showcase at Stubb's BBQ, Superorganism stopped by Peter Pan Mini-Golf in Austin to perform their found-sound heavy hit. 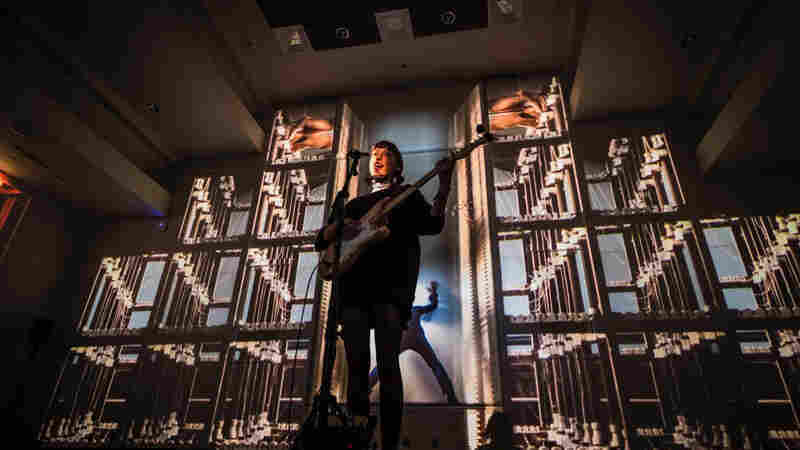 March 21, 2018  Dacus performs "Historians," from her deeply personal and triumphant new album, in an art installation at SXSW that evokes the challenges of human communciation. 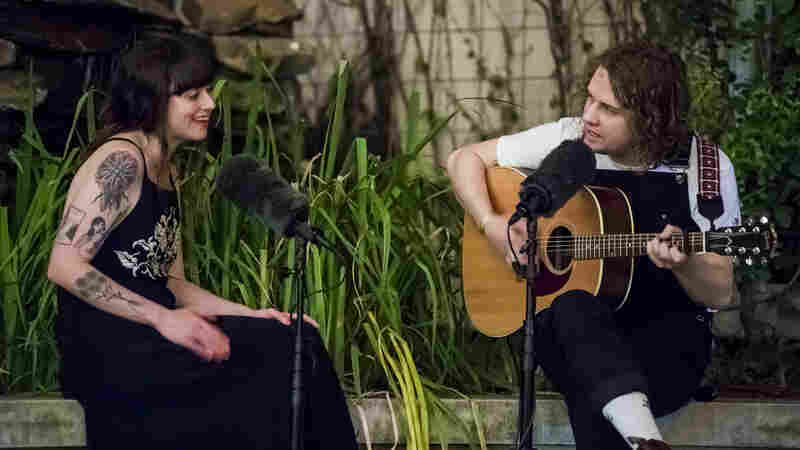 March 20, 2018  In the courtyard of St. David's Episcopal Church in Austin, with the sounds of the city and SXSW echoing in the background, Kevin Morby and Katie Crutchfield perform a song of quiet comfort. 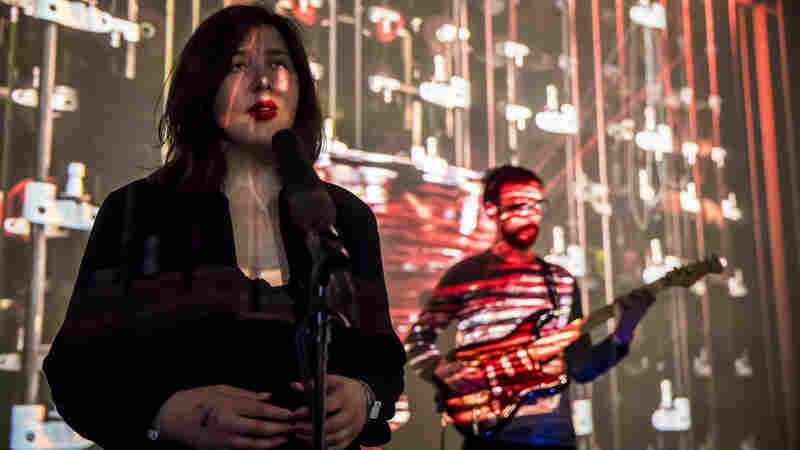 March 19, 2018  Surrounded by an art installation featuring wires and woolen yarns, the Australian singer-songwriter's sharp wit stands out in a sweetly quiet song that rages loudly.